Update: Watch the recorded webinar here! If you're reading this blog, you probably already use Octopus Deploy as part of your deployment pipeline. Over the past few years, we've put in a lot of effort making it easy to integrate with your existing build engine. If you're using Visual Studio Team Services, we want to show you how easy this integration has become! OctoPack has long provided an easy way to package your applications and push them to Octopus, and for programmatically creating and deploying releases, you've been able to use octo.exe, the API and various plugins. TeamCity users have had a great Octopus plugin for a while, but until fairly recently, the options were a little fiddly for those heavily invested in an all-Microsoft ALM stack. Microsoft has been doing some great work with Visual Studio Team Services, and on the back of this, we've been able to create and publish a really useful extension for teams in that ecosystem. The new Build and Release system in VSTS (and TFS) means first-class integrations for Octopus as part of your build or release pipelines. And extensibility points elsewhere in VSTS mean an opportunity to add even more! 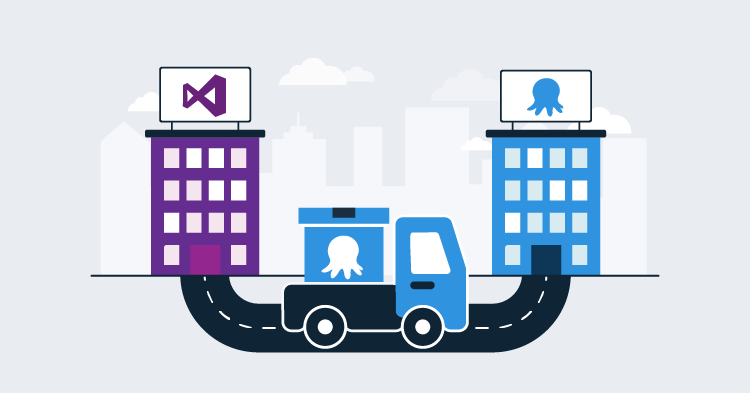 In short, VSTS and Octopus Deploy provides a compelling story for end-to-end DevOps - from requirements and work items all the way to software running in production. 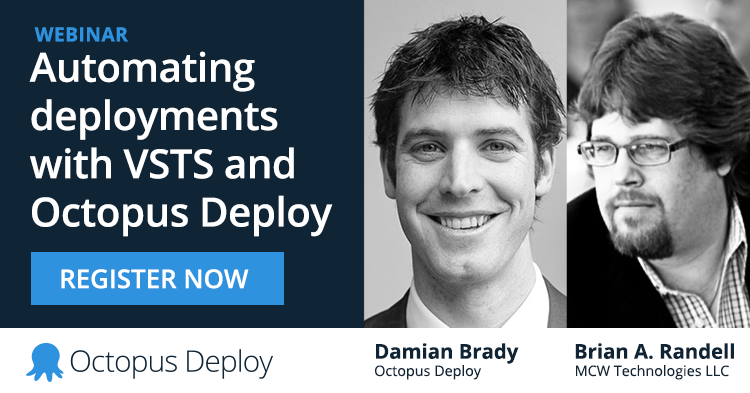 To show how well VSTS and Octopus Deploy work together, we're hosting a webinar with Brian A. Randell and Damian Brady! And finally: A new just-released addition to the extension! Brian A. Randell is a well-known developer, speaker, author, and technologist. He is currently a Partner with MCW Technologies LLC, a consulting firm and co-founder of DuoMyth, a new born-in-the-Microsoft cloud, SaaS education platform company. For more than 25 years, he has been building software solutions. He educates teams on Microsoft technologies via writing and training—both in-person and on demand. He's currently a Visual Studio and Development Technologies MVP focusing on DevOps, agile development practices, virtualization, and Microsoft Azure. When not working, Brian enjoys spending time with his wife and two children who enjoy making him look bad on the Xbox One (with and without Kinect). Make sure you come with questions, and as always, the video will be made available afterwards.